मेरो के गल्ती भयो यहा? लेखिएका छाप थियो होला !! कति सहनु कति सहनु मैले ?? कसरी ? यस्ले आफ्नो भन्दा ठुलो भाग्यको जागिर र तलब पाई छ ?? There was que of other girls to share there story on how they were victims of Gender Based Violence . Were you suprised to know all those stories? if you ask me I wasn’t . This has become part of our life . 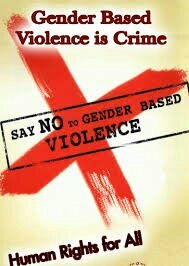 One of three girls in world is victim of Gender Based Violence. I don’t deny the fact that Gender Based Violence is bad but it is even worst when the victimizer is not a stranger ……. Author highnesspoojaPosted on November 27, 2017 November 27, 2017 Leave a comment on Speak Up!!!! We feel suprised to know our parents had relationship in past and they did love marriage! Even I was suprised to know it. I mean how could they but I am the same person who won’t be suprised knowing my brother who reads in standard 7 will have girlfriend very soon. I am also the same person who feels bad for the breakup of my friend but I take it lightly deep inside i feel love and breakup are common these days ! Searching someone who is a teenager and also single (never ever been in relationship) is as searching brahmans who dont eat onion and garlic. Yes i dont mean they dont exist but are very rare and many of those rare person are away from internet . Let me site an intresting code * love these days is chat*. Lets discuss about my relationship . We go for lunch outside as soon as the food comes i dont enjoy eating it hot or warm i need to take perfect shot for instagram and facebook and i will try taking photo graphs as many times without caring for food if it gets cold or even my partner,worst part here is partner also wants the shot for instagram. Same is the situation for going somewhere with him or if he gifts me something i prefer hash tag gift hast tag love hash tag thank you in instagram rather than saying him thank you ! Even research shows many of the social media user have missed the important functions trying to get perfect shot or tweet to post in social media. We prefer writing a long eassy about mothers day fathers day rather thn wishing them! and if we wish them we are again dying to take perfect shot for social media. Our love for parents can be shown in social media ? Are you going away from truth and being driven by social media ? You needn’t need to post everything in it! Or this is the another way of making slave ! Remember slavery this way is dangerous ! Author highnesspoojaPosted on June 3, 2017 June 3, 2017 5 Comments on 21st century Love! He gave her daily adding sugar to it . Sushma ! This name may be a normal name with for you or the word with its meaning. And to those who dont know its meaning readers its your job do search it .But when it comes to me the name itself is the synonymous word to friendship. Lets read a story of mine no of ours . The story of Sushma and Pooja . I dont like to give the term best friend to us not even the non biological sister these terms are too maon stream these days ! But our friendship is not among those. 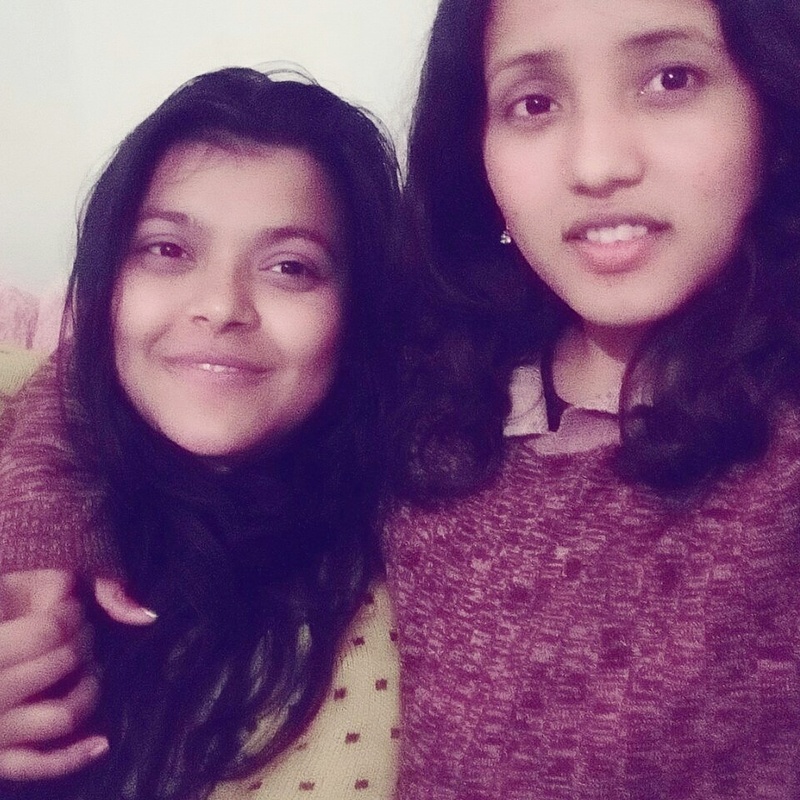 You are actually the friend I will remember when I am in problem or I am very happy .We have got the ugliest fight bt the craziest part is we could never deny the fact that we were too dependent on eachother . From not letting eachother talk with the boy we didnt like to taking revenge with back biters we have done all. From doing homework sitting in first bench to gossiping in last bench or doing others attendence ! Quite interesting quite naughty we be when we both be together ! I never had many friend nor I will bt among small number of friends you are among the special one …hahahaha eveyone is special because I have only half a dozen of friends… hahahahaa ! Eating too much of food and sharing the same plate or anything or taking those things with eachothers permissions or shouting or getting jealous seeing others being close to other ….I cherish every moments with you Sushmey. Dushmey!